So HTC may have said before that they were getting out of the Android tablet game after “learning a lot,” but it seems that they might be diving back in. Hot off the heels of the picture that HTC tweeted featuring hidden devices, Ubuntu’s website is now counting down to something: HTC’s press event tomorrow morning. This isn’t an official announcement by any means, but the signs couldn’t be any stronger at this point. The HTC Instagram picture did look like it showed something a bit larger than a phone, but until this we had our doubts. This certainly is strong evidence that HTC and Ubuntu have kept a pretty massive secret up until this point. 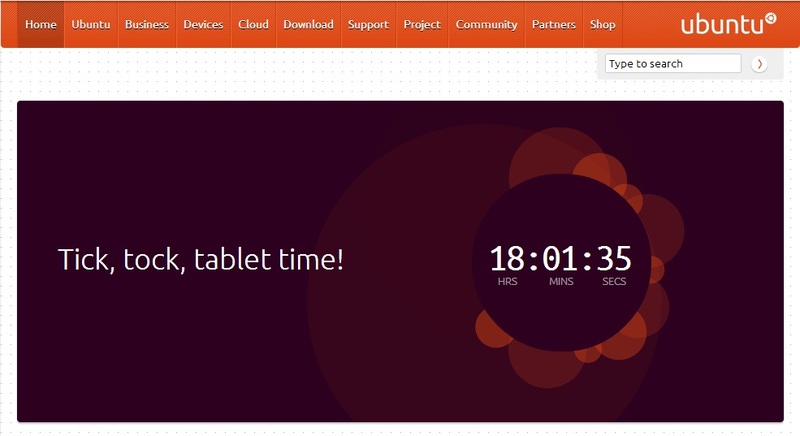 Then again, the two could be completely unrelated and Ubuntu is planning on their own announcement tomorrow as well. We know many readers have been interested in Ubuntu on their phones, but what about a bigger screen?